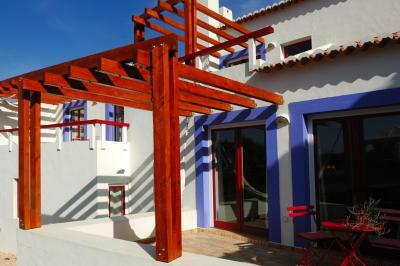 Lock in a great price for Casas Do Moinho - Turismo De Aldeia - rated 9.2 by recent guests. The staff is really helpful and pays a lot of attention to detail. 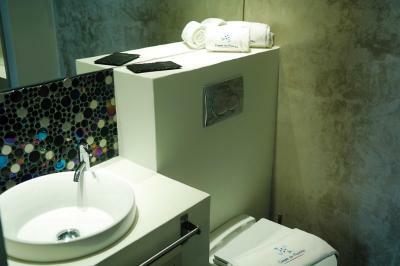 The apartments are really beautiful and well-equipped. Welcome tea and cake were just the thing we needed after we finished the Fisherman's Trail in Odeceixe. Without a doubt, the best place we stayed in during our journey through Rota Vicentina! Everything from the reception to the restaurant was fantastic. 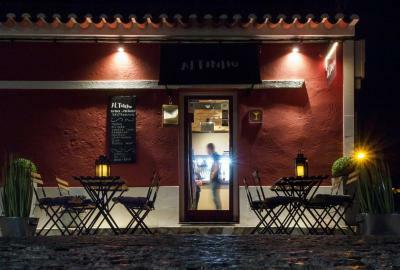 We highly recommend Casas Do Moinho! This is a fabulous place to stay. So peaceful and relaxing. Bebina was so welcoming, helpful and informative. I wish that every hotel had a Bebina!!!! She’s a gem. Beautiful boutique accommodation with great facilities. The staff was excellent. The room with welcome treats, extra towels for the beach was fantastic. The bed was very comfy. The best place we ever were! So authentic lovely convenience! Very relaxing. The extensive breakfast was great. Nice refreshing pool and close to a great restaurant. 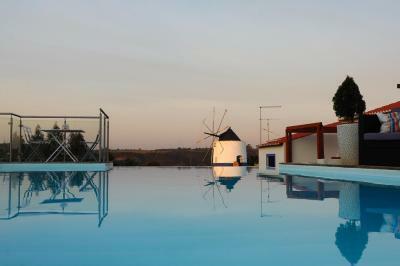 One of our top picks in Odeceixe.Casas Do Moinho is ideally situated in a natural park, close to several beaches. It offers 5-star accommodation with free WiFi and includes an outdoor swimming pool with panoramic views. Rooms are fitted with chic, modern furnishings. Some rooms also feature a fully-equipped kitchen and a dining area. The contemporary kitchens feature a microwave, minibar and a tea/coffee maker. Some kitchens also feature an oven. 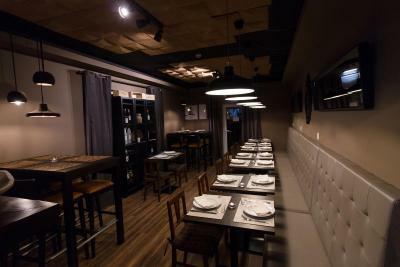 For meals and drinks, guests of Casas Do Moinho - Turismo De Aldeia can choose to dine at the on-site restaurant Altinho - Tapas & Petiscos - Bistrô, or visit the restaurants and bars of Odeceixe within a 10-minute walk. Guests of Casas Do Moinho - Turismo De Aldeia may use the outdoor swimming pool as well as schedule the use of the hot tub and massage services. Alternatively, guests can engage in activities such as surf, mountain biking, fishing, diving and hiking the trails of the Rota Vicentina. Odeceixe Beach, one of the 7 Wonders of Portugal, is less than a 5-minute drive from Casas do Moinho. This property is also rated for the best value in Odeceixe! Guests are getting more for their money when compared to other properties in this city. 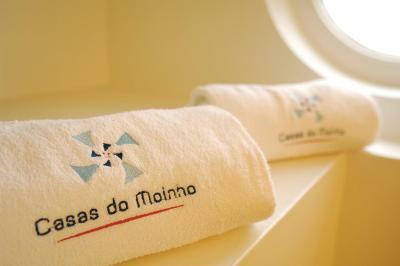 Casas Do Moinho - Turismo De Aldeia has been welcoming Booking.com guests since 11 May 2010. 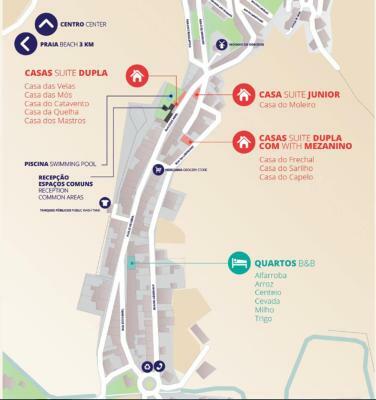 When would you like to stay at Casas Do Moinho - Turismo De Aldeia? Offering views of the swimming pool, this bright room features a balcony and comes with a kitchenette, a refrigerator and a microwave. It has a seating area with sofas and a flat-screen TV. 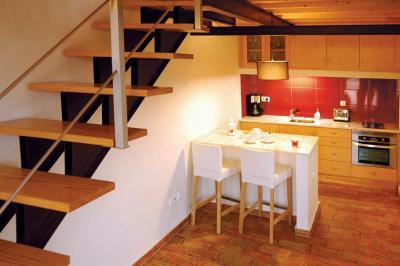 Featuring a double bed in the mezzanine, this studio offers views of the mountains and village. The swimming pool is 200 metres away. Guests can park their car at the doorstep. This Junior Suite can accommodate 2 guests and features a private bathroom with a shower. This room cannot accommodate any extra beds but it can accommodate a cot at an extra charge. House rules Casas Do Moinho - Turismo De Aldeia takes special requests - add in the next step! Casas Do Moinho - Turismo De Aldeia accepts these cards and reserves the right to temporarily hold an amount prior to arrival. Very nice reception staff and great breakfast. Spacious room. It would have been great if there was a little heater as it was quite cold in the unit. They did provide a blanket on the couch if you were sitting around reading or watching TV. There was a slight dampness in the rooms because there was no window in the bathroom and the air conditioning didnt seem to want to stay on. Great authentic experience and fantastic stay. The swimming pool was rather crowded, go for the beach, it is fantastic and only 3 kilometers away. Our room was at the corner of a very busy road which had constant traffic that only stopped during the night which made it hard to sleep. There is also a lot of people walking by and therefore there is very little privacy unless you keep the curtains closed all the time. Also the noise from outside is constant. Maybe soundproofing the apartment would help with the noise. It was a little hard to find the reception by car, but parking was not difficult! The location was amazing! It is such a cool experience staying in an old village and really feeling part of it! It is not a hotel, but a series of stand alone apartments with a stunning outside area.